Only Muslims can use the word Allah to refer to God, the Malaysian King has declared adding fuel to the long-running dispute and raising questions over rights of religious minorities in the country where Islam is followed by about 60 % of the population. Intervening in the dispute for the first time, Sultan Abdul Halim Mu'adzam Shah urged Sunday representatives of all other communities to respect Muslims’ exclusive right in order to maintain stability and harmony in Malaysia. “In the context of a pluralistic society, religious sensitivities especially related to Islam as the religion of the federation should be respected,” the King said in a speech, cited by Malaysian state news agency Bernama. “Confusion and controversy can be averted if there is adherence to the provisions of the law and judicial decisions,” he added. The term ‘Allah’ came to the language used by the nation’s dominant Malay ethnic group from Arabic and is used to describe ‘God’ by people of all faiths. Sultan Abdul Halim, 86, is one of the nine sultans who take turns every five years to serve as head of state. 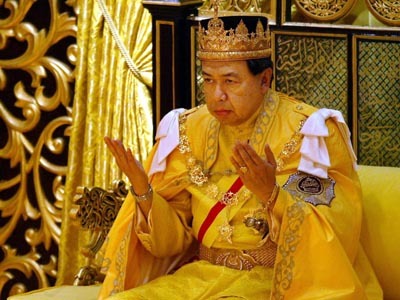 The king’s role in Malaysia is largely ceremonial and his powers are limited. However, he is considered a defender of Islam and enjoys the respect of the Muslim population. Sultan Abdul Halim recalled that back in 1986 the National Fatwa Council ruled that several words, including Allah, could be used by Muslims only, writes New Straits Times. But even though fatwas, or rulings, by clerics are followed by many of Malaysia's Muslims, they are not legally binding. Two years later, in 1988, the restriction on the use of a bunch of words was passed into law by the Barisan National regime. The enactment, many argue, violates the country’s constitution that guarantees equal rights to all the citizens. 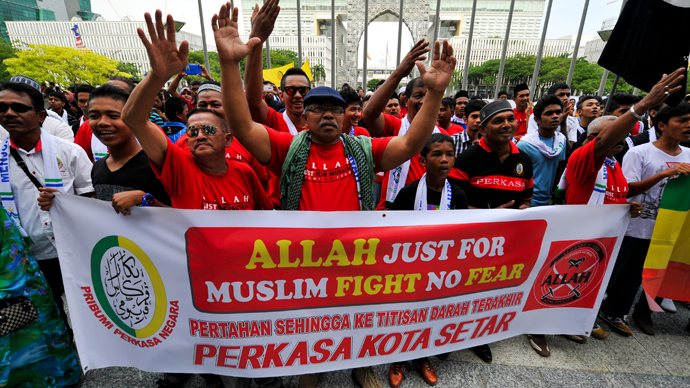 In October last year, the ban on the use of ‘Allah’ by non-Muslims was supported by a court. Three Muslim judges in Malaysia's appeals court voted unanimously to overturn a 2009 ruling by a lower court that allowed the Malay-language version of the Catholic newspaper, The Herald, to use the word Allah to refer to God. The Federal Court, which will hear the case on February 24 to decide on whether it would hear an appeal by the Catholic Church, reports The Malaysian Insider. The October court verdict prompted protests by both Catholics – who say their rights are violated – and Muslims who demand the rule is followed by representatives of other religions. 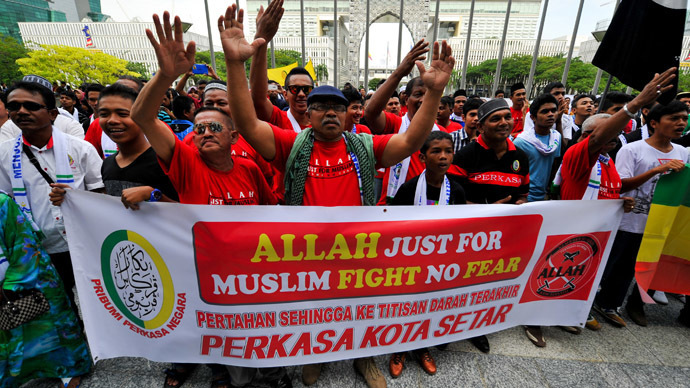 Deepening the tensions even further, in November the Senator of the Malaysian state of Selangor issued a decree last November prohibiting non-Muslims from referring to God as “Allah”. On January 3, Selangor’s religious authorities moved to enforce the decree and seized over 300 Malay Bibles from a Christian group. Christians make up about 9 per cent of the country’s 29-million population. 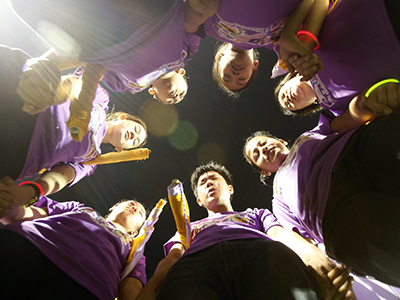 It is the third largest religious group in Malaysia after Buddhists.